Whether you are training to become a new VIPRE field operator, upgrading from outdated competitor software or completing your re-certification requirements, VIPRE has you covered. VIPRE provides online training that's open 24/7 to accommodate even the most demanding schedule. Save your organization valuable time and money in getting you certified on your new VIPRE field unit. Read more about VIPRE's Online Training here. Traditional, on-site, classroom training is available by request. Please contact us for more information. Please click any "pricing" link below for both on-line and package pricing information. 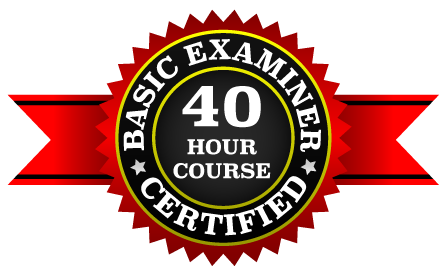 The 40 Hour Course is a complete and comprehensive learning experience that prepares the student for certification as a VIPRE-Voice Stress Analyst. Training includes instruction in the dynamics of VIPRE Instrumentation and theory of Vago-sympathetic Instrument Processor for Re-Active Stress Examinations, coupled with Examination Question Creation Criteria, Psychology of Interviewing in conjunction with Kinesics, Pre-Employment screening and Chart and Pattern Evaluation. Upon course completion, the student is completely prepared and certified to successfully utilize the VIPRE Voice Stress Analysis instrument. This enhances their agency's ability to aid in every level of criminal investigation, including pre-employment screening for sworn and non-sworn employees, homeland security and internal affairs. VIPRE provides the experienced examiner with an advanced level certification. This level requires that the examiner has completed at least two re-certification training courses and a minimum of five years operational experience conducting VSA examinations. The examiner must provide a video of an examination exhibiting a skillful level of operation which demonstrates necessary and productive examiner skills. 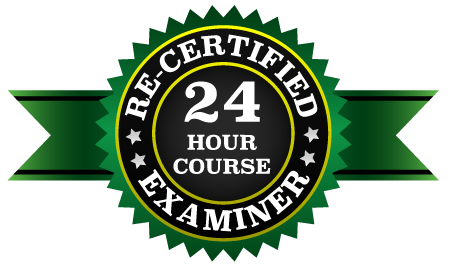 The Re- Certification course (REC) is a 24 hour comprehensive Voice Stress Analysis certification review and update. At an advanced level of instruction, examiners will review those areas of importance that will enable them to retain all important aspects of Voice Stress Analysis. Review, question formulation, confession/admission barrier removal, chart interpretation along with other topics. All examiners are required to achieve an academic level of completion and will be recognized as an re-certified level examiner by the IAVSA. The VIPRE examiner is required to recertify every two years. The VIPRE H-3000 and S-5000 were intentionally created to be extraordinarily simple to operate. Unlike other systems which require constant microphone calibration and multiple key strokes to advance, VIPRE uses a unique "forward driven software" model and only requires the completion of six simple sections to initiate an examination. As a result, currently certified VSA Examiners can quickly familiarize themselves with VIPRE's operational procedures over the phone with training personnel. 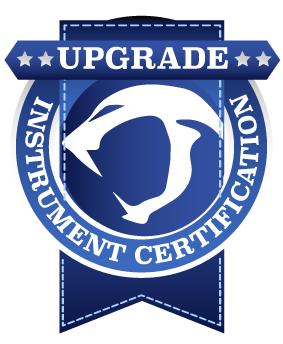 The astute examiner can quickly cross-over from their out-dated VSA to the technologically advanced VIPRE instrumentation.